Remember back in January when Green Bay Packers coach Mike McCarthy hired Joe Philbin as his new offensive coordinator? McCarthy vowed he and Philbin were going to do some serious examining of the offensive playbook with the idea of making an already potent offense even more potent. Now, eight month later, the Packers’ offense has changed and not necessarily for the better. In fact, the Packers offense has sputtered through the first three games of the season. The Packers have been especially ineffective at the outset of all three games, which is something you never expected from a McCarthy-led offense. 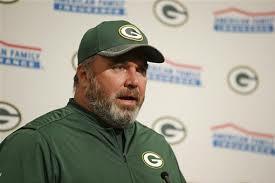 Throughout his stellar career in Green Bay, McCarthy has consistently concocted a game-plan that set the tone for the game. In other words, there was a reasonably good chance the Packers would come away with a touchdown, or at the very least a field goal, on their opening drive. By the end of the first quarter, it was a foregone conclusion the Packers had put points on the scoreboard. In the season opener against Chicago, the Packers trailed 7-0 after the initial quarter and were down 17-0 at halftime. In Game 2, against Minnesota, the Packers again trailed 7-0 after the first quarter. Then, last Sunday against Washington, the Packers once again went scoreless in the first quarter and trailed 14-0. It’s a trend the Packers need to stop, starting today against the enigmatic Buffalo Bills. The Packers have to take charge right from the opening kickoff and not give Buffalo quarterback Josh Allen a chance to get comfortable. The Vikings did precisely that last Sunday in a stunning 27-6 setback in Minneapolis. The Bills, who had lost their two previous games, including a gory 47-3 loss to Baltimore in the opener, grabbed a 17-0 lead in the first quarter against the Vikings and never looked back. 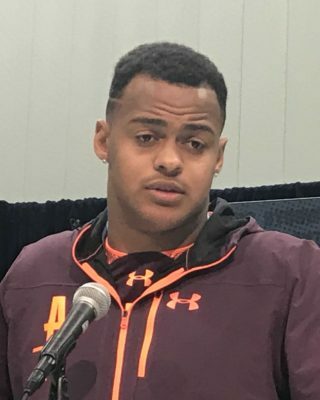 Allen, the promising rookie from Wyoming who the Bills made the seventh overall selection in the 2108 draft, played a prominent role with his arm and legs in the Bills’ fast, first-quarter start with a 10-yard scoring run and a 26-yard touchdown pass. Today, at Lambeau Field, the Packers need to quickly seize control and make the untested Allen and the Bills play from behind. Prediction: Packers 30, Bills 20.